Sorrento, a glittering town on Italy’s Bay of Naples, is the perfect location for exploring the Amalfi Coast. But are there plenty of things to do in Sorrento itself? Well, if you’ve booked a vacation here, rejoice! Because there’s a whole heap of things to do in Sorrento, so whether you’re planning on using the town as a base for exploration, or if you’re simply looking for a lovely place to put your feet up for a week, you’ve come to the right place. You’ve also come to the right blog! (even if I do say so myself…) I’ve stayed in Sorrento a mighty five times, so I can comfortably say that I know the place pretty well. It’s become a second home, and I have friends in the area. 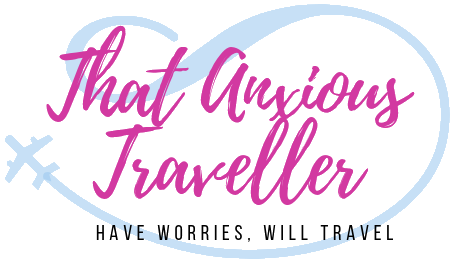 Plus, being an anxious traveller means that I check, double check, and triple check a place before I ever set a nervous foot through the door, so you can be guaranteed of quality. I’ve also discovered many a tip that’ll have you making the most of your stay, and even saving you some money! 1 What’s the best time of year to visit Sorrento? 2 How do you get to Sorrento? 3 What are the best hotels in Sorrento? 6 What are the best restaurants in Sorrento? 7 The ultimate Sorrento packing list! 9 Share the best things to do in Sorrento! Sorrento is a town which is close to my heart, and I want to make this the ultimate guide to things to do in Sorrento. No stone has been left un-turned! There is not a blade of grass which has been missed! No pizza has escaped un-sampled! So, with this in mind, I’ve found the 22 most awesome things to do in Sorrento, and compiled them all for your viewing pleasure. Add to that a guide to the best hotels in Sorrento, the finest restaurants, a packing list, and even a virtual walking tour, and I think you’ll agree that you’ll be set for the best trip ever. Sorrento has so much to offer, whether you’re doing some solo backpacking, or if you’re after a relaxing family holiday. So, starting with some handy info, let’s give it an in-depth look! Also visiting Positano? Check out my Ultimate Guide to Things To Do In Positano! What’s the best time of year to visit Sorrento? The best time to visit Sorrento, as with most of the Amalfi Coast, really just depends on how hot you like the weather, and whether you’re okay with crowds. If you like it hot, then you’ll be wanting to visit in July or August, when temperatures reach highs of 33°C / 91°F – but, there’s a catch. July and August are by far the most expensive months for getting a hotel room (not the mention the months in which hotels are generally fully-booked), and the crowds can get insane. Not only will you have to share space with the millions of visitors from around the world who visit the area every year, but the numbers are swelled by city-dwelling Italians escaping the summer heat. Simply put: it gets busy. My tip is always to visit Sorrento in May or September. The weather is warm (22°C / 71°F); it provides lovely weather for walking and exploring, and prevents you from burning to a crisp in the notoriously oven-like Pompeii. Hotels are cheaper and less full, and the crowds are far more manageable. If I were to be pressed, I’d recommend visiting Sorrento in May – purely because this area has an abundance of beautiful flowers, and fragrant orange, lemon and olive groves, and seeing them in the height of spring is particularly lovely! September is another great month, though – things are quietening down, but it still stays plenty warm. Just bear in mind that if you visit some gardens (such as ones in Ravello or Ischia), they’re not going to be nearly as visually impressive as they would be in May. How do you get to Sorrento? Naples Capodichino Airport (NAP) will be your first steps on to Italian soil if you’re flying in, and there’s a good selection of choices on how to continue your journey! Fancy the fastest way to get to Sorrento? Then you’ll be wanting a car! But whether you drive it, or whether you get someone else to do it for you whilst you put your feet up in the back, is entirely up to you. If you fancy taking the wheel yourself, there’s number of car rental agencies available to you at Naples Airport – simply head over to the desk on arrival, or book one in advance online. It’s a pretty straightforward drive, though bear in mind that there’s a toll section of road just outside of Naples, and you’ll need some cash handy. If, however, you want to start your holiday in the manner in which you mean to continue (i.e. doing the bare minimum or work), consider booking someone to do all that stressful driving for you! If you go with the very reasonably priced Astarita Car Service, you’ll pay only £23 / $29 for a pickup from the airport, and a relaxing drive courtesy of a local. They have an outstanding reputation for service, and you can also book tours of the Amalfi Coast with them, too! Taking a bus is definitely one of the most budget-friendly ways of reaching Sorrento, and the journey couldn’t be simpler. Yes, it’ll take longer than a private car, and it won’t be quite as comfy, but for pure money-saving sense, it can’t be beaten. Head over to CurreriViaggi‘s website, and you’ll see that you can book yourself a ticket for a bargain €10. All you have to do is get yourself to the airport’s PI parking zone, and the bus will be there ten minutes before departure (check the site for the timetable; they’re pretty regular). The bus will drive you to Sorrento, and deposit you at the train station; a beautifully-central drop-off point. With both car and bus services being so reasonably priced and simple, there’s not a lot of reason to travel from Naples to Sorrento by train. But if you’re wanting to experience the region’s trains nice and early, the good news is that it’s pretty straightforward. Catch the Alibus shuttle bus from the parking lot located outside the airport (it’ll be marked with an Alibus logo) – it’ll cost €5, and take 20 minutes to get you to Napoli Centrale station. All you need to do here to to buy yourself a ticket to Sorrento (€4.50), and find the Circumvesuviana line. Hop on a train with Sorrento marked as its final destination, and you’ll be strolling in the town roughly an hour later! Fancy splashing out on a ticket for a new experience? Want to make a splash with your entrance? Okay, enough splashing jokes – yes, you can travel to Sorrento by boat! It’s a very soothing experience. wonderfully vacation-ish, and actually very comfortable. There’s just one drawback: it’s considerably more expensive. Catch the Alibus shuttle bus mentioned in the “by train” section above, and stay on until the last stop – Molo Beverello, one of Naples’ ports. You’ll see a whole variety of companies offering services, but just head over to the ticket office and queue at any desk which advertises Sorrento as a destination. Receive a ticket (prices and schedules vary depending on the time of year), check the Departures board for the dock number, and on you get! The journey takes about an hour, and you’ll be able to watch the Bay of Naples slip by as you bounce across the waves. It’s very good fun! What are the best hotels in Sorrento? Sorrento is a resort town, and is quite happy to flaunt the fact. Accordingly, you’ll find an absolutely brilliant array of hotels to choose from, from five-star luxury to budget hostels. There’s also a strong selection of mid-range hotels which won’t break the bank, but give you some good old fashioned Italian hospitality. Read on for my picks of the best hotels in Sorrento… including my favourite hotel in the entire world! If you’re looking for more options around the area, check out this guide to the best hotels on the Amalfi Coast! Everyone in Sorrento has heard of the Bellevue Syrene, even if you’re just visiting for a week. Sometimes a hotel is so good, so luxurious, that its reputation drapes itself over a town like a beautiful, silky sheet. The Bellevue Syrene is that place in Sorrento. Click the above link, and take a look at those rooms. Look at the luxury, the cleanliness, the little deft touches which scream opulence. Look at the outstanding meals served up by the restaurant. And above all else, look at that glorious terrace, where you can eat your meal or sip a sundowner. Look past white columns and purple bougainvillea, to gaze out over blue seas and the distant form of Vesuvius. Look at that beautiful view, imagine that lifestyle, and you won’t be able to tell me that paying a little more isn’t worth it. I love the name of this hotel, because it’s like they tried to fit in every available superlative in the book. And the best part is that it lives up to all of them! If you’ve ever set foot in Piazza Tasso in the heart of Sorrento, or approached the town by boat, then you’ll recognize the Grand Hotel Excelsior Vittoria. That’s because it perches between the two, the most famous hotel in town – you’ll see it from the sea, clearly marked, and dripping five-star luxury. This is where the celebs check in, and you can see why – the rooms are old school luxury, all marble and gilt, and your exclusive terrace looks out over the harbour. Perfect for people watching! Add a Michlin-starred restaurant which looks like a Renaissance palace, and glamorous gardens filled with orange and lemon trees, and you won’t want to go anywhere else. You’re going to have to forgive me if I get a little carried away writing about this hotel – indeed it deserves its own dedicated review – because this is my absolute favorite hotel in the world. I genuinely get tearful when I have to leave. I simply love it, and count it as my second home. You may see the Best Western name, and assume that the hotel is just part of a chain, with generic service. NO. No, no no. Get that idea out of your head straight away. La Solara is a brilliantly-run hotel, managed to perfection, and staffed by the nicest people in the world. Seriously. Nothing is too much trouble. You will be treated like absolute royalty, and you’ll go home having made lifelong connections with the staff. When I revisit, I get a hug and kiss from the staff, who I’ve come to know (especially Nello in the dining room – prepare to utterly fall in love with him, and immediately want him as your surrogate granddad). We chat about our lives, and catch up on how the other members of staff are doing. The rooms are immaculately clean, and the maids leave chocolates on your pillows and get your pajamas ready for when you return from dinner. And OH MY GOODNESS, the food. I refuse to believe that you’ll find better food anywhere in Campania. Or Italy, for that matter. There are stunning sea views. Perfection is the norm. All this for a bargain price, thanks to the Best Western group. BOOK IT; BOOK IT NOW. Like the sound of the grand hotel terraces overlooking the Bay of Naples? Dreaming of the one at the Bellevue Syrene above, but wishing you could afford it? How about a hotel which has a terrace overlooking the bay, with an equally drool-worthy view as the luxury hotels, but at a much cheaper cost? Well, the Boutique Hotel Helios might be for you! The rooms might not be quite as swanky as those in the grand hotels, but they’re clean, simple, and cozy – and who cares what the rooms are like, when you can spend your time outside looking at that view? Taking in those sunsets, as the sea turns a molten gold, broken only by the boats travelling over to Capri? The hotel is also nicely placed away from the hubbub of town, so you really can get away from it all! The name might not be terribly imaginative, but don’t let that put you off – this B&B is a gem of a find. It’s very reasonably priced – you won’t find many better prices in town – and ideally located! The flats are spotlessly clean, and better equipped than you might think (WiFi! Yay! ), and the breakfast buffet has an amazing selection given the price you’re paying for your stay. But the huge benefit of staying here is the location; it’s super-central, being based on the main shopping street, and is a perfect base for exploring the town. This is especially useful if you’re planning to visit the Amalfi Coast, as it gives you the opportunity to get on the early buses before the scrum takes place later on! Want to stay in the real heart of Sorrento, and pay a fraction of the price of the grand hotels? The B&B DolceVita is the absolute perfect choice for you! The B&B is located in the side streets off the Corso Italia, and trust me, this is the part of Sorrento you’ll fall in love with. The tiny streets are filled with life: shops, fruit stalls, gelato sellers – they still follow the ancient Roman streets, which were deliberately narrow in order to keep the town shady and cool. And you can have your own dolce vita right in the very center of it! Rooms are small and simple, but absolutely functional and comfortable, and the shaded streets and terracotta tiling keep them wonderfully cool. Plus, staying here is totally worth it for that moment when you exit through the front door, startling a passer-by, and convincing them that it’s totally your house, and that you live there. You know you want to. So, you’ve made your way to Sorrento. It’s a beautiful day, with a warm breeze drifting in off the Bay of Naples, gently fragranced with sea salt and a hint of lemon. You’ve got your perfect hotel, and you’re ready to explore the best things to do in Sorrento. Without further ado, let’s take an in-depth look at what you’ll be experiencing, and the memories you’ll be making! Piazza Tasso is the beating heart of Sorrento – it’s the junction of two busy roads, with the road to the harbor stretching off below it. Cars and Vespas trickle along its sides, visitors wander and wonder. Grooms care for their horses in the shade, offering a tour of the town in a drawn carriage. Busy cafes line the sides, with waiters expertly weaving their way through the tables to deliver a slice of prime pizza. All of this adds up to an absolutely brilliant people-watching spot! Although it may not seem the most peaceful piazza in the world on first glance, you’ll soon realize that this is actually its strength – there’s so much happening! It’ll give you a good view into Sorrento daily life: you’ll spot locals out for a stroll and greeting each other with a double kiss, or you can watch your fellow visitors stroll through with a gelato. The only difficult bit is finding a perfect spot for taking it all in. Well, let me take that difficulty away! Because as most visitors to Sorrento soon find out, the traditional viewing point is the Fauno Bar at the top end of the piazza. Not only does it have perfect views and a whiff of opulence, but the food is excellent too! Ask anyone in town for the best things to do in Sorrento, and watching the world go by from the Fauno’s vantage point will definitely be at the top of the list. Have you ever wanted to view abandoned buildings, completely taken over by nature? How about ones in a lost valley, looking primordal, as if a small herd of velociraptors are about to stream past? But do you want these fabled buildings to be within a couple of minutes walk from your hotel? If the answer to all of the above is ‘yes’, then you’re in luck! Sorrento’s Vallone dei Mulini is one of the most intriguing and spectacular sights in town, and you can view it by walking for about one minute north of the Fauno Bar. The road here is framed by a small wall, and if you peer over, you’ll get a breathtaking view of the mill buildings completely covered in ferns and foliage, whilst small birds flutter around. The mill itself is about 700 years old – you can still see the millstream trickling past at the far edge – but was abandoned in the 1940s. Since then, nature has done its absolute best to completely cover the mill, making it blend into a lusciously green valley which won’t fail to get you snapping photos and wanting to get in touch with your inner Indiana Jones. Intriguing and photogenic, Vallone dei Mulini is definitely worth a peek! Sorrento is the best base for exploring this region of Italy, bar none. It’s also the absolute best-placed location for visiting Capri without having to book a hotel on the island itself, which can be terribly pricey, allowing you to see the famed glamour spot without breaking the bank! For that reason alone, visiting Capri should be marked as a must-do on your list of things to do in Sorrento. Getting to Capri from Sorrento couldn’t be simpler, or faster. Pop down the flight of stairs leading to the road under Piazza Tasso, and walk downhill to Marina Piccola (which translates as small marina, even though it’s the biggest one). The ticket office is slightly below street level; descend the steps down, and queue at any desk showing Capri as a destination. You’ll pay about €17 for a ticket – not cheap, but Capri is an island, so what can you do? Rest assured though: the experience of seeing Capri is well worth it, and the journey won’t take more than about half an hour. Check this website for up-to-date timetables. If you fancy something a little more exclusive and convenient, how about a private boat tour to Capri? Avi Travel’s tours pick you up from your hotel, take you to Capri on a private boat and give you a tour of the Blue Grotto and the Faraglioni rocks -worth the price alone – before giving you some time to explore the island on foot. Check out the reviews; they come highly recommended! However you get there, you’ll find plenty to delight you on Capri. Aside from the Blue Grotto (we all love sparkly blue waters! ), Capri is a fantastic place just for seeing the sights, taking in the splendour of gardens such as Giardini di Augusto, going on a hike, or just doing some serious damage to your bank balance. Shopping in Capri is an expensive yet satisfying experience, and even if you can’t afford the latest Gucci fashions, there’s affordable souvenirs in the shape of Carthusia perfumes and Capri Watch timepieces. Or you can do what I do, and plaster myself up against the windows, a single tear dribbling down my cheek. When you’re in your lovely Sorrento hotel, have a look at some of the furnishings in the public areas. Can you spot some beautifully ornate wooden tables, possibly in a multitude of hues, with decorative patterns under a highly polished surface? If you can, congrats! You’ve found your first piece of Sorrento inlaid wooden furniture! Sorrento has been producing these little masterpieces for centuries – the town is famous throughout Italy for being ‘where the good stuff comes from’ – and its not just limited to tables. You can buy trays and homeware (perfect for impressing your pals back home when you serve gaming snacks on them), inlaid wood watches (perfect for looking super snazzy and non-digital), and oodles of wooden tables which are so highly polished, they feel like they have a velvety sheen on them. Basically, you name it, and they probably make it out of wood in Sorrento. But one of the most popular things to do in Sorrento is to buy the little inlaid wooden boxes that the town produces. You’ll see these just about everywhere, especially in the side streets off the Corso Italia where a lot of the inlaid wood workshops are based, and you’ll see them in every colour. They make great souvenirs, as they have the same patterns and sheen as the more expensive pieces, but they’re affordable and easy to take back home. Most adorably, a lot of them have mechanisms inside which turn them into music boxes. Buy one of these, store your jewellery in it, and have a Sorrentine ditty played to you every time you open the lid. It’s remarkably nostalgic. Check out the collection at Gargiulio – this is one of the best workshops in town, and you can plan out what you might fancy bringing home! Let’s put this right out there, folks: Sorrento is ridiculously pretty, and you will want to photograph it a whole bunch. One of the best things to do in Sorrento is simply to walk around, and find those perfect scenes for Instagram, creating your very own photography tour. Not only will you get plenty of good photographs, but you’ll give the town a thorough explore, and see Sorrento daily life as you duck down the side streets away from the tourists. Stop in a cafe, and upload that slice of prime pizza. Capture a picture of a sleepy cat on a windowsill. You can’t go wrong. Vallone dei Mulini – looks utterly otherwordly on your Insta feed. From here, head back towards Piazza Tasso – can you spot any very Instagrammable eateries nearby, perhaps to your left? Marina Grande – The whole of Sorrento’s smaller port is pretty, but can you find the pier jutting out into the sea? There’s a wonderful view from there! View of Sorrento Cathedral bell tower – this terracotta-coloured bell tower looks good from any angle, especially if there’s a blue sky behind it, but see if you can find a good view of it by heading into the side streets opposite! Looking for more Instagrammable spots on the Amalfi Coast? Check out my guide here! You’re going to fall in love during your trip to Sorrento. You’ll be there, sitting in a restaurant in your finest clothes. A warm breeze will be tickling your ear, as your heartbeat increases. A handsome Italian waiter approaches, a smile on a perfectly tanned face, and you feel your breath catch. At last, the new love of your life… a plate of Sorrentine gnocchi! And they all lived happily ever after. Yes, the food in Sorrento is that good. It’ll make you weep, not for any negative reason, but at the thought of having to leave this culinary paradise and never tasting decent pasta ever again. Trust me, it’ll happen. So how about taking that pasta with you? But not by putting your plate in your suitcase; get that out of there! No, it’s much simpler than that – take a Sorrento cooking class, and you’ll have the skills of the town’s chefs in your knowledge bank forever. Cooking School by Chef Carmen is the best in town – I picked up a leaflet outside her base in town, and immediately put it on my to-do list. And it’s so much fun!! You get to have a three-course meal (worth it on its own! ), but also learn how to make the dishes yourself. Chef Carmen is a lovely lady, and she’ll teach you how to make the parmigiana, gnocchi and tiramisu that you’ve enjoyed during your trip, and make them at home. It’s so worth doing! Visiting Naples from Sorrento makes for a great day trip, and it’s so easy to do! There’s really no excuse not to! 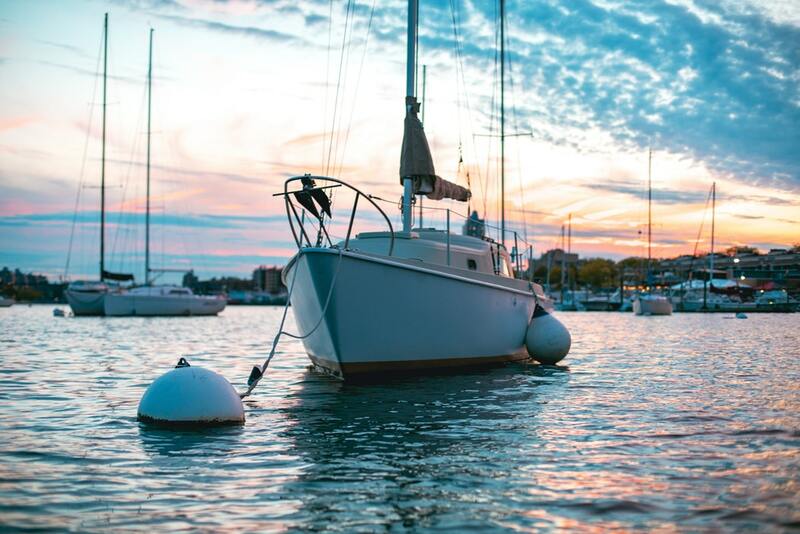 Although it’s also possible to visit by boat – simply pop down to Marina Piccola and purchase a ticket – it’s just as simple to visit by train. Head to Sorrento’s train station, head up the stairs to the ticket office (don’t panic if you’re not an Italian speaker; they speak very good English), and buy a return ticket. This should cost you about €7. Make sure you get to the platform in plenty of time in order to get a seat on the train – not only will this save your feet, but the service does have an unfortunate reputation for pickpockets. It’s much easier to protect your valuables if you’re sitting! After that, sit back and watch the landscape zip by! You’ll arrive either at Napoli Centrale station or Porta Nolana (depending on where you choose to alight), but both stations are centrally placed for exploring the historic centre of Naples. If you want my super-pro tip, aim to arrive in Naples around 11AM, then make your way into town via L’Antica Pizzeria Da Michele – it’s one of the most famous pizza places in town (if not the world) and near to both train stations. You’ll get there early enough to be seated pretty quickly, and fill up on an early lunch. I love a pretty church, and if that church has a lovely outside space and a somewhat quirky gift shop, then it’s an absolute winner! The Chiesa di San Francesco (or the Church of St. Francis of Assisi, if you were wondering) fits the bill. The church is small but constantly busy, its charm and location near to a cracking view of the Bay of Naples and Vesuvius making it an extremely popular site for weddings. You’ll see a good amount of Italians getting hitched, but it’s also massively popular with British couples who combine a wedding and honeymoon into one. The big draw here though is the cloister – you can enter it through the archway just to the left of the church’s main entrance. It’s an utterly lovely space: a quadrangle with an open central square, and a whole forest of trailing plants which are growing high up, cascading down to ground level in a green curtain. It’s a lovely place to stay and refresh for a bit, snap a selfie, or pet a cat who might be lounging in the sun. But do pay a short trip to the church’s gift shop – not only can you support the building, but you can also grab yourself a trinket. That may be the beautifully carved crosses of St. Francis, or that might be the rainbow-adorned plastic keyrings of the Pope. I’ll let you decide for yourself which one I bought. If you fancy visiting the church, as well as some of the others in the area, and hearing the full history from a local, then I recommend a walking tour. They’re inexpensive, small and friendly, and provide so much more information and context than you’re going to acquire just by wandering around them on your own! You’re in Italy. It therefore follows that you will want an ice cream, because failing to do so would be like going to Germany and not having a schnitzel or a bratwurst. But you don’t just want an ice cream, you want the best one in town. Get yourself along to Gelateria David, by far my favourite gelato place in Sorrento! As you can see from the website, which gives you the intriguing offer of being “groped by our sweet creations” (WTF Sorrento), there is a whole smorgasbord of dairy delights for you to choose from. Or whatever the Italian version of a smorgasbord is, anyway. But you want the gelato, and Gelateria David doesn’t disappoint. It’s made freshly every day (which means that you’ll find some switching of flavours – don’t expect to find the same ones every day), and it’s simply the tastiest one there is. Fruit flavours really pop with freshness, and the lemon sorbets are almost like spooning citrus juice direct from the tree. Chocolate lovers (holla!) will be equally happy, with ice creams which incorporate Kinder bars, KitKats, or Italian classic stracciatella. If that’s not enough gelato for you, then you’re in luck! You can attend a gelato-making school at Gelateria David, getting the secrets of the trade from the shop’s founder, and sampling the freshly-made produce! Many visitors make the mistake of thinking that Sorrento is purely a resort town – a habitation made up purely of tourist-friendly hotels and restaurants, with no real history or tradition of its own. Au contraire, mon mistaken ami. Sorrento has been around since the Roman days, and before becoming a bit of a resort town, it was well known for its arts and crafts. One of these was the inlaid wood furniture, which we’ve swooned over already, and another was cameo jewellery. If you’re not sure what a cameo is, and you’re associate it either with Stan Lee popping up in a Marvel movie or 80’s pop hit “Word Up”, then let me explain. A cameo is a piece of jewellery, often a pendant, carved from a shell. You know when you pick up a shell on a beach, and there’s a white outside, but the inside is a smooth, pink, coral, or lilac colour? Cameo makers carve away at a shell so that you’ll have a figure in white (the outer shell) on a coloured background (the inner shell). They’re delicate, and utterly beautiful. Not to mention classy AF. The best place to get a cameo in Sorrento is Bimonte – I should know, because one of the first things I did on my first trip to Sorrento was to buy a cameo from here. And guess what: it’s still in perfect condition and looking as gorgeous as the day I bought it. Have a look at Bimonte’s collection, and plan your shopping trip! If you like good seafood, where should you go? Well, places near the sea. Duh. Everyone knows that. But rather than eat somewhere in town, how about going directly to the place where the catch has been landed that morning, and eating it next to the beach? Sorrento’s Marina Grande is something of a fishing village joined on the side of a resort town – indeed, the somewhat-misleading name comes from when this was the main hub of the entire town. These days, it’s a much more relaxed and traditional corner, which maintains a village atmosphere whilst still catering to tourists. And the main focus of industry here is pulling fish from the sea, cooking them in a variety of ways, and presenting them to you on a plate whilst they’re so fresh they’re practically still swimming. One of my favourites is Trattoria Da Emilia (after all, who are we mere mortals to disagree with a recommendation from legendary actress Sophia Loren, who was originally from the outskirts of Naples and presumably a lady who knew her seafood), where the fish dishes are a visual delight as well as a culinary one, but you really can’t go wrong with any of the restaurants near the harbour. They all use the freshest fish, and competition is be the best is fierce, so you’re pretty much guaranteed a good meal! One word of warning – I’ve written previously about the Five Sisters Restaurant down by the harbour, which can be something of a bad apple in the barrel of goodness. Avoid it, or at least know what you might be getting into! I don’t know about you, but I love a market. Seeing all the items on display, getting that feeling when you spot something you love, and then haggling viciously for five minutes with the vendor only to part with smiles and firm handshakes, and a new item in a plastic bag. Sorrento’s street market takes place every Tuesday from 8AM to 2PM, and is a little further out of town on Via San Renato (it’s completely within walking distance, though – it probably takes about twenty minutes from the main thoroughfare of Corso Italia), and is absolutely the place to grab a bargain. You’ll see stalls with fashion, leatherworks, homewares, and even fresh produce, so this is the place to go if you fancy a punnet of juicy Italian cherries to go in your hotel room. Bags are a great buy here – no, they’re not genuine Gucci, funnily enough, but you may well spot an Italian leather creation which is totally different to anything you’ll find back at home, and a lot cheaper than it would be in town! Being a bit of a historian in my day job, I could wax lyrical about the ruined Roman town of Pompeii. I’ll save you the long version, especially as I’ve written about it in more depth in this article about Pompeii and Herculaneum, but the short version is that taking a day trip here is a MUST. A popular way of seeing Pompeii is to take a guided tour. This has got one big advantage: you get an expert to come along with you, and interpret the site. Pompeii is in a bit of a state, as you’d expect from somewhere which got wrecked by a volcano – no Disneyesque recreations here! – so if you’re unfamiliar with Roman history or archaeology, or if its your first visit to the site, a guide might well be a bit of a must. This tour includes Mt Vesuvius and is a good price for what you’re getting! If you’re cool with doing it yourself, you history buff you, it’s nice and simple to get to Pompeii from Sorrento. Pop along to the train station, buy yourself a return ticket for €3, and get on the train to Naples. Alight at Pompei Villa Dei Misteri station, turn right when you exit the station, and you’ll be at the entrance to the site! Tickets for Pompeii cost €15, and you can get an audio guide for an additional €6.50 if you like. However you do it, please go and see Pompeii. It’s hugely historically significant, and it really does fill in a big jigsaw piece in the history and culture of this entire region. It’s also a scene of a tragedy, very touching, and a place that’ll capture your imagination. Limoncello is a liqueur made from lemons, and has become quite big in the past couple of years – once the preserve of Italians and savvy travellers, you may well see limoncello-infused sorbets and desserts in your locality. It’s getting uber-trendy! Unsurprisingly, given the huge amount of lemon groves in the area, Sorrento is the centre of limoncello production in Italy. Which therefore makes it the number one limoncello location in the world! It’s hard to turn down something that’s the gold standard, so sampling some limoncello should definitely be on your list of things to do in Sorrento. Even if you’re not a big liqueur fan, you should at least grab a small bottle – it’s remarkably versatile, and can be used on everything from trifles and cakes to pouring over ice cream. Although you’ll see plenty of places selling limoncello in Sorrento, some are definitely better than others. You may be able to buy it cheaply in the local supermarket on Corso Italia, but it’s not the seriously good stuff – for that, you want to visit I Giardini di Cataldo. This is a traditional limoncello maker, and quality is their watchword. Their grove for growing citrus is on site – indeed, you can take a tour through it! – and everything is freshly made from their own lemons. Including all that delicious limoncello, which they’re quite happy for you to sample! Psssst. If you’re not travelling to Sorrento just yet, and you want to sample some limoncello, have a look here. Thank me later! The Correale di Terranova Museum is perfectly thought-out, and an ideal place to go to get away from the bustle of outdoors (or just get out of that scorching sun for a while!). Here’s the deal: you’re on vacation. You’ve deliberately come to a sunny location in a sunny country; you don’t want to spend hours and hours inside when you could be out soaking up all that vitamin D. But at the same time, you want to learn the history and culture of where you’re staying. The Correale di Terranova navigates this by being just the right size – big enough that you’ll come out informed, but not so big that you spend the entire day there. It’s housed in a beautiful old building, surrounded by well-cared for gardens, and has four floors exhibiting fine arts and wooden inlay crafts from the area. The collection of ceramic figures on the third floor are a particular highlight! It’s also a brilliant option if you happen to have a rainy day in Sorrento, keeping you dry yet entertained. Don’t miss this little gem – it really is worth your time! Now, I have to admit that I have a massive soft spot for this tip, and it’s one I always give to people visiting Sorrento. It’s a short tip, and very straightforward. It goes like this: FOR THE LOVE OF GOD, GET A PIZZA FROM FRANCO’S. Guys, the pizza at Pizzeria Franco is soooo good!! It is, in my opinion, the best pizza outside of Naples (and it certainly gives some of the city’s pizzas a run for their money). I always like to use the old adage of “go where the locals go” when I’m looking for restaurants, and that’s how I found this place. You’ll be greeted by the friendly staff when you arrive, and directed to take a place on one of the long wooden benches – it looks almost like a German beerhouse, except with some fine Italian hams hanging from the ceiling. When you receive your pizza, prepare to have your socks knocked off. Franco’s doesn’t serve inferior pizza; oh no – this is freshly cooked from a proper wood oven, served in a metal tray which you can keep to yourself or share. It’s deliciously cheesy. It zings and tangs. It melts in the mouth. Plus, it’s extremely reasonably priced – being a little bit further away from Piazza Tasso, and stubbornly no-frills, helps to keep the prices well below what you’ll find elsewhere. Is Franco’s a fine dining experience, with posh waiters and silverware? Nope. But is it authentic, locally beloved, and the best pizza in town? Most certainly! One of the biggest advantages of staying in Sorrento is that it is the perfect base for exploring the famously-beautiful Amalfi Coast, without having to pay the premium hotel prices in some of the coast’s towns. Instead, you can easily cover everywhere you want to visit with one or two day trips. You can soak in all the glamour of Amalfi or Positano, and do it on a budget! It’s pretty simple to do this by bus, as well as cost-effective. Go to Sorrento’s train station, but don’t go up the staircase into the station itself. Instead, go into the tobacconists just by the bottom of the staircase, and buy an all-day ticket. Pop back outside, and you’ll see the buses lined up against the wall opposite the station: jump on one headed to Amalfi, validate your ticket, and you have an all-day pass for the buses running up and down the Amalfi Coast! Sit on the right-hand side of the bus for the best views, as the driver swirls you around tight bends with sheer drops (so, uh, if that doesn’t appeal and you fear for your breakfast, be sure to sit on the left-hand side!). Positano will take just under an hour to reach, with Amalfi a little further on at a journey time of an hour and forty minutes. Change buses at Amalfi if you want to travel even further, and visit pretty Ravello! Not interested in being on a crowded bus? How about getting your very own tour on a Vespa scooter? This really is la dolce vita, and the most glamorous way to see the Amalfi Coast – not only that, but you have your own private guide who’ll give you the lowdown on the area and its history! Plus, it has great advantages that the bus doesn’t – if you see a great spot for photographing the view, you can just pull over and stop. You can’t do that on the bus! Looking for some more info? Check out my experiences of one day in Amalfi, and check out my ultimate guide to things to do in Positano! Forget swimming pools; they’re way too boring! We want craggy rock faces, crystal blue sea water, and a secluded spot away from the crowds! If that sounds like you, you’re in luck! Sorrento’s best-kept secret is the Bagni della Regina Giovanna (or the baths of Queen Joan, if you prefer), a swimming hole which has been naturally formed by the crashing of the waves against the rocky cliffs. It’s totally gorgeous, eminently instagrammable, and far enough away from the centre of town for you to enjoy your dip in the sea, and not feel like a tourist. It’s possible to walk there by going up the hill past Marina Grande, and carrying on along the side of the road until you reach signage directing you towards the cove. It’ll take about 50 minutes and there’s no sidewalk, so be careful! Alternatively, you can catch a bus – get the one from the train station heading to Massa Lubrense, and ask for Regina Giovanna; they’ll drop you off at the right place. As we’ve already talked about, making ourselves progressively more hungry as we do so (sorry about that), the food in Sorrento is up there with the best. Forget your fancy restaurants in Rome or Florence: the best Italian food is simple, derived from peasant dishes, and fresh as you can get it. With that in mind, what better place to taste (and make!) the best of what Sorrento has to offer than on a farm? Where you can make limoncello with fruits straight off the tree, pizza with tomatoes plucked fresh from the vine, or cheese with milk, um, recently squeezed from the goat? That’s why the Sorrento Farm experience is a whole barrel of awesome. You get to go around the area with a local expert, visit farms and cheese-makers, and taste that fresh, sweet produce. When you think that you simply can’t take any more delicious food, you learn how to make a proper Neapolitan pizza with all those fresh ingredients! And then you get to eat it, because withholding your lovely fresh pizza would just be kinda cruel. Lovely as Sorrento is, it’s also good to get out of town for a bit. Experience the winding roads, the views of the sea, the scent of sun-warmed olive groves. And pick up some sweet foot blisters, but c’mon, those are just proof of a hike well-hiked. So if you’re staying in Sorrento but fancy temporarily hitting the road, consider the neighbouring town of Massa Lubrense. It’s a straightforward hike up the hill near Marina Grande, and following the road around the coves and inlets of the coast, until you reach the tidy little town with its scenic harbour, and world-class restaurants (no exaggeration – check out Lo Scoglio). It’s a little slice of unspoilt Italian life, and walking down the twisting road to the seafront takes you past vast citrus and olive groves. BUT do watch out for those twisting roads. They’re narrow, and the buses going up and down are fairly regular. Keep to the correct side of the road, and walk single file. There’s frequent bus stops, so if it does get a little hairy for you, there’s a ready-made escape option (just remember to buy a ticket from a tabacchi). If you’re like me, you’ll arrive in Italy and gaze at the Italians with a look that half-admiration, and half-green-eyed-monster. The locals’ reputation for stylish dressing is well-deserved, and as a bella donna sweeps past you wearing crisp fashions, sunglasses, and accessories that Anna Wintour would be proud of, it’s easy to shed a small tear which drips on to your (suddenly drab) shorts and t-shirt. Sad times. What better way to make yourself feel better than with some retail therapy that’ll perk up your wardrobe! And I can hear what you’re thinking: “but I can’t afford Gucci or D+G!“. That’s okay; neither can I! I am but a mere travel blogger, and all my money goes on plane tickets. But what if I were to tell you that Sorrento has some really affordable clothes shops, which don’t skimp on quality? ‘Tis true! Get yourself to Piazza Tasso, and take a right turn down on to Corso Italia. After a few minutes, you’ll find two shops which I really recommend: Piazza Italia, and Zuiki. Both of them offer Italian style at tiny prices – it’s your everyday Italian gear, at a fraction of the cost of the designer brands, but brilliant for creating your own nifty outfits. Sorrento must be fairly unique in that it’s a major resort town on the Mediterranean, yet it has no beach. There’s a small one at Marina Grande, but there’s no acres of golden sand on which children build sandcastles and bury sleeping parents up to their necks. Sorrento just isn’t that kind of town. But if you still want to go for a dip in the clear blue waters of the Bay of Naples, does this mean that you’re out of luck? Fortunately, no! If you go down to the seafront part of town, overlooking the Marina Piccola, you’re bound to catch sight of a platform heading out to sea, where people relax on sunbeds and swim in a crystal clear section of water. This is Leonelli’s Beach, and it’s a family-run lido which is well worth a visit. Two sunbeds and an umbrella will cost you €23, allowing you to laze in the solarium for as long as you want (the beach shuts at 7pm), surrounded by the waves. There’s even a restaurant to cater for all those post-swimming munchies. Take it easy for a bit after all that walking! Well, now you can! Well, in a virtual sense anyway, with this brilliantly-filmed virtual walking tour from ProWalks. Stuffed with lots of useful info via subtitles, you can learn all about your destination and soak in the atmosphere before you even get there! Give it a watch, and subscribe to his channel! What are the best restaurants in Sorrento? Sorrento is blessed with a variety of restaurants for all kinds of budgets, from basic pizza halls to the fanciest Italian cuisines. Let’s help you pick your favourite! Vegetarian options are available at all of the below – vegan is a little more hit or miss, so check before you commit. This Michelin-starred restaurant is a little further out of Sorrento, in the nearby village of Sant’Agata sui Due Golfi, but it’s well worth a short taxi ride. This is top-notch local cuisine, well-known throughout the whole area, and for good reason! Feast your eyes on what Don Alfonso is serving – the freshest pastas in sauces made from local produce, duck, lamb, and fish done to perfection, and a variety of desserts so good that they’ll make you weep. Add exceptionally friendly staff into the mix, and you’ve got a world-class dinner. Click the link above to book (vital). Located a small hop out of the town centre in the suburb of Sant Agnello, the Vesuvio Roof Restaurant promises to dish up mouthwatering views along with your food. You can sit on an outside terrace overlooking the bay, perfect for a romantic evening meal as the sky changes through shades of pink and blue. And let’s not forget the food! It’s good, local cuisine – fish and seafood play a starring role, but you’ll be spoilt for choice on meat and pasta dishes too. It’s a perfect location for a special occasion! Click the link above to get a necessary reservation. Nothing less than the #1 rated restaurant on TripAdvisor, the Ristorante Bagni Delfino really is something special, without requiring you to blow your whole budget on a meal. Located in Marina Grande, those of you who’ve been paying close attention will realise that this means one thing – seafood! Lots of it, and as fresh as it gets. It’s located on a short pier which is actually over the water, so you’ll be able to eat fish whilst contemplating their former home… which is kind of harsh, but there we go! Located a short distance away from Piazza Tasso, the Bistro Sorrento is another of the town’s best-regarded eateries. The presentation of the food has been elevated to an art form in here – perfect for those jealousy-inducing Instagram snaps – with everything from beef to seafood, perfectly arranged on your plate. You won’t want for options, either – the pasta menu is to die for, and the mains are plentiful. The steak in particular has to be seen to be believed, and it’ll melt in your mouth. Click the above link to make a reservation! This place is described as a fast-food joint, which is technically true – it serves burgers, after all. But these are not just any burger. Oh no. I can only recommend that you click the link above and take a look at them. Go do it now, and come back. Yup, THAT’S a burger. And they taste as good as they look! You really need to experience one, and happily Da Lucariello is based not far from Piazza Tasso. There’s no excuse not to try one! Despite the vaguely rude-sounding name, this is a real little gem – an Italian tavern serving no-frills cooking at great prices, but with flavour that can match anything from the more expensive restaurants. The atmosphere is warm and friendly, the pasta dishes are melt-in-the-mouth (you have to sample the lasagna! ), and it’s wonderfully casual. You don’t have to get into your fanciest frocks; you can just sit back and enjoy good, family-style cooking. What’s not to love about that! The ultimate Sorrento packing list! Sorrento might not be the fashion capital that its neighbours Positano and Capri are, but this is still Italy, and you’ll stick out like a sore thumb if you don’t make an attempt at being a little bit stylish. Save yourself that feeling of “is everyone quietly judging me?“, and get some tips on what to wear from this Sorrento packing list! Comfy walking shoes: Amazon US | Amazon UK – you’re going to be doing a lot of walking around Sorrento, and you need something that’s going to protect those tootsies. Trust me: I’ve made the same mistake before, and had a fairly unpleasant time hobbling over cobblestones in various Italian towns. Don’t do it to yourself; you deserve better! You can’t go wrong with a pair of Keds, and these will look super-cute with a dress. You can even choose from a variety of colours! Sun dress: Amazon US | Amazon UK – I love a sun dress – perfect for that sunny Sorrento weather! – and I particularly like a nautical look. It goes perfectly both with the coastal town of Sorrento, and with the places you’ll visit. Pop a pair of sunglasses on, and feel like a million dollars when you’re jetting over to Capri on a boat! You’ll notice that quite a few of the restaurants, and even the souvenirs, in both Sorrento and Capri have a nautical slant to them, so why not hop on board (sorry, couldn’t resist) with the trend! 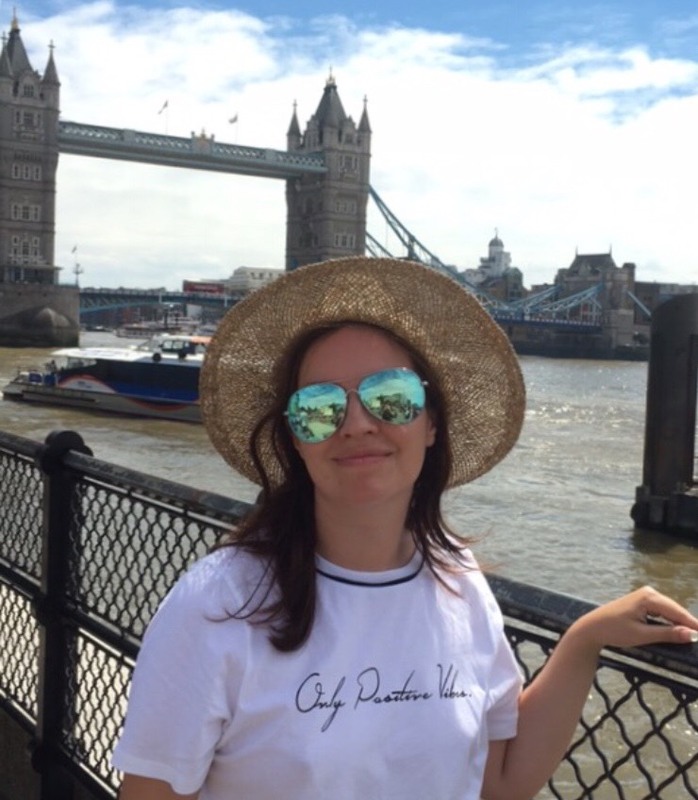 Packable hat: Amazon US | Amazon UK – these things are a godsend, and I’m not sure how I ever coped without them (spoiler: I didn’t, and had very sad hats). They look like stylish straw hats, but you can fold, maim, mangle, and stuff them into your suitcase, only for them to magically pop back into shape when you take them out again. They’re utterly brilliant, and if you’re considering visiting Pompeii, you DEFINITELY need one. Seriously. Sunglasses: Amazon US | Amazon UK – if you keep up with your sunglasses fashion news (who doesn’t? ), then you’ll know that red-framed sunglasses are bang on trend at the moment. And do you know what else goes rather beautifully with red-framed sunglasses? The nautical look! So if you’ve got the dress I linked to above, these will not only protect your eyes, but they’ll dazzle the fashion-conscious. Bikini: Amazon US | Amazon UK – carry on that nautical theme into your swimwear! You’ll look pretty awesome perched on a rock in Capri, or maybe on the deck of a yacht, wearing this gorgeous number. You’ll be the siren in the Bay of Naples, an area known for its mermaid legends, and the high waist gives you that little bit of high seas Hollywood glamour. Cover Up: Amazon US | Amazon UK – after you’ve done all that swimming (and attention-grabbing posing) on the bay, then you’re going to want something to cover yourself up with. This little crocheted cover up does a brilliant job, as well as making you look on-trend – if you take a trip into fashion-conscious Positano, you’ll notice that the shops there absolutely love crochet and lace adornments on women’s fashion. Get the local look! Flip Flop Sandals: Amazon US: | Amazon UK – I bet I know what you’re thinking. I love the nautical look! But I bet I won’t be able to find some appropriate poolside footwear to go with it. Sadness! Well, rejoice! Because Havianas -aka the best flip flops in the world – have already solved your plight with these super adorable nautical flip flops. They match the bikini I listed above perfectly, and you’ll be able to smugly skip past the fashion-uncoordinated crowds! Romper: Amazon US | Amazon UK – not wanting to wear a dress every day, but still want to get the sun on your limbs a wee bit? Well, how about a romper? (aka a playsuit over here in Europe.) They’re comfy, perfect for walking around town in, will go fabulously with the canvas shoes, and when they’re as cute as this, a guaranteed head-turner. Who says fashion has to be uncomfortable? Linen scarf: Amazon US | Amazon UK – I always recommend visitors to Italy, especially around the Amalfi Coast region, to take a linen scarf. Why? Because they’re sooo adapatable – you can use it to cover up if you’re feeling a bit sunburned (this is particularly a thing in Pompeii – I still have a patch of sunburned skin on my shoulder from getting cooked there), or if you’re in a church. Plus you just generally look like a cool cat wearing one! Perfume: Amazon US | Amazon UK – I love Carthusia perfume, and it’s about as local as you can get. It’s made on Capri, infused with the scents and sensations of the region, and even better – you can buy it in Sorrento! There’s a perfume shop on Corso Italia which sells it, or you can pop across to the island, and get it directly from the source! However, if you want to stock up before you go (you won’t get it any cheaper on Capri or in Sorrento), you can get it from the links above, and arrive in Sorrento in a lovely cloud of scent! Bag: Amazon US | Amazon UK – we’ve carefully built up a beautiful, glamorous nautical look which is perfect for strolling around Sorrento – would be a shame to spoil it with a random bag which doesn’t suit the rest of your outfit! So get rid of those fashion anxieties with this white anchor bag – it’ll go perfectly with a striped dress, but also with anything else you might be wearing. Going nautical really is a good theme in Sorrento – you’ll stand out from the crowd in a good way! Comfy shoes: Amazon US | Amazon UK – you may have manly man-feet, you man you, but you still need to look after your feet on those hard Italian cobblestones. Otherwise, you’re going to be getting blisters, which are going to get messy, and you’re going to get pitying glances from sharply-dressed Italians as you hobble across the streets. You can’t get any better, or more comfy, than Converse, and with such a choice of colours, they’ll go with absolutely everything! Sweater: Amazon US | Amazon UK – the evenings can get a bit chilly in Sorrento. That lovely breeze coming off the sea, which can be wonderfully cooling during the day, gets bloody chilly at night. So take a cue from the local men, who swap their daytime shirts for a warm sweater. These zip-up neck ones are perfect, giving you a hint of Italian style whilst keeping it modern, and you won’t look out of place wearing it at home either! Chinos: Amazon US | Amazon UK – an Italian classic. When the evenings get chilly, you don’t just want to keep your top half warm – these will do the job, and they’ll keep you cool during the day too! They’re also great for wearing out in the evenings; if you’re planning on going somewhere a little bit fancy for dinner, you’ll be welcomed much more in chinos than you would be in jeans. Make note of how many Italians you’ll spot wearing chinos, and follow their lead! Hat: Amazon US | Amazon UK – yes fellas, packable hats aren’t just for the ladies! If you’re anything like my dad or boyfriend, you’re not the most careful packer – it’s throw it into the case and hope for the best, right? Well, packable hats are perfect for you! You can stomp on these suckers, and they’ll bounce back better your favourite plucky sports team. Plus, panama hats are on trend, suiting both the young, and the young at heart. Speedos: Amazon US | Amazon UK – it’s like this, boys – you might be a bit nervous of the good ol’ budgie-smuggler, but the fact remains that these are super-Italian. If you see local guys on the beach, they’ll nearly always be wearing a red or blue pair of Speedos (not that I sit there specifically watching, you understand…). It’s just as Italian as pizza, and you’ll get respect from the locals if you take the plunge in these. They’re also very reasonably priced! Flip Flops: Amazon US | Amazon UK – Havianas flip flops are one of my absolute favourite things on the planet. I used to have such a hard time with flip flops – the thong between my toes would never be comfortable, and I’d end up limping across a beach to various chuckles. And then I found Havianas, and everything got so much better! There’s no discomfort at all – they’re regarded as the best in the world for a reason. There might not be a beach in Sorrento, but these are ideal for poolside! Cologne: Amazon US | Amazon UK – how better to cement the scent of the clear blue Mediterranean into your memory banks than with some awesome scent? And if it’s Italian, that’s even more perfect! The luxury brand of Dolce & Gabbana have got just the thing for you, but at a surprisingly reasonable price. Light Blue is perfectly described by its name: light and fresh, with lovely citrus notes, but with a tang of the fresh blue sea. It’s Italy in a bottle. Share the best things to do in Sorrento! I hope you’ve enjoyed reading this guide to Sorrento as much as I’ve enjoyed squeezing every last drop of info out of my Sorrento memory banks! Never write it off as just a resort town: there are so many things to do in Sorrento – you’ll almost certainly find that, like me, it’s a town you want to return to again and again. Comment below if you’re travelling to Sorrento soon, or if you have fond memories! And if you have enjoyed this, how about sharing it, and sharing the love? Simply hit the buttons below, or pin the below image so that you can read it later, or get easy access to it whilst you’re away! Happy travels! Please be aware that this article does have some affiliate links. These incur zero extra cost to you, should you decide to use them, and give me a little money towards the running of this site (and a little towards all those glam outfits to prance around the Amalfi Coast in). Thanks for any support! Thanks for such a helpful and comprehensive guide on Sorrento! I can just see myself walking down the gorgeous cobbled streets and relaxing at the beach. I love the look at the Valley of Mills – it looks eerie and beautiful at the same time! I’ll definitely save this post for my next Italy trip. Thanks! You had me at limoncello tasting. Seriously, the food looks amazing. Wow what an in-depth guide girl! Amalfi Coast looks like a dream! Thanks for putting so much effort into putting this guide together. I might go to Italy this summer. Will definitely save this for later. Omg love this! Sorrento is so beautiful and I love that this is everything you could ever want to know, with Male and female packing lists! Great post. Thanks for the inspiration.